Documents must be static, and may not be sessions or similar interactive things. The AMQP mechanism is designed as a method for sending documents with a format description from a sender to a recipient. The format description and sender/recipient infomrmation is helpful in locating the right Input Queue, or other form of handler within the Reservoir. The format description can be a MIME-type or, alternatively, a URI so that we may even make informal extensions like http://types.arpa2.org/whatever or even other-technology URIs like urn:nfc:ext:arpa2.org:whatever -- meaning, we can extend the typing discipline without grabbing something that isn't ours. Check out a few example use cases. The AMQP scheme for URIs has not been standardised yet but has a proper definition and a more detailed one in line with the general standard. Indeed, it does support addressing user@domain.name style targets.  AMQP itself is a wire-level protocol, and does not seem to object senders and recipient addresses formatted in user@domain.name form, like the DoNAI form that we use throughout the ARPA2 infrastructure. Connections can be initiated as plaintext (the so-called STARTTLS approach) and then upgraded to TLS or GSSAPI; this means that TLS-KDH can be used, as well as direct Kerberos-based access. Both are very, very powerful mechanisms for fast cross-realm connectivity. You would submit your document to an address such as john@example.com and the user john of the domain name example.com would be able to pick it up from a queue that may be looking for your input, or perhaps any input at all, or just input of a certain type. The precise mechanism that we are considering upon arrival of an AMQP message is to retrieve a recipient's Input Queues, select those that match with the type of the message body (allowing wildcards such as image/* as well as Input Queues with multiple acceptable formats) and deliver the message there. When no suitable Input Queue is found, the message will be rejected. During delivery to an Input Queue, an object may be placed in a spool or in the Object Store, the storage URL is then used to setup an entry in the Input Queue. Usually, the Input Queue will not be stored in LDAP yet, so as to avoid overzealous writing into this infrastructure. TODO: Different Backend? Processing the new entry may now commence through a variety of mechanisms, both manual and automatic; among the options is placing the object in a Resource Collection within the Reservoir. Use the local Kerberos identity amqp/example.com@EXAMPLE.COM and expect as a remote identity amqp/example.net@EXAMPLE.NET -- where the realms may in fact be different as per the _kerberos TXT records in DNS. A local node will always identity as a service/host identity, where the service is always amqp and the host represents the domain name in the local-end identity; a remote node is verified to live by the same rules. In terms of AMQP, the To header defines the target node, and behind that is a set of named Links that we refer to as Input Queues in terms of the Reservoir. In terms of message switching facilities, we match headers and will usually be specifically interested in the To and Content-Type headers, as well as the Link Name for the given To recipient. Given that a receiving end is identified, the message itself should be exchanged and acknowledged. It is up to the Input Queue policy when an acknowledgement will be generated; this may be upon correct storage in the Input Queue, or it may be when the user actively processes it somehow, for instance by moving it to a Resource Collection in the Reservoir. This section gives a few alternative interfaces for the exchange of messages or documents with the Reservoir; they are generally considered part of added services through the ServiceHub phase of the InternetWide Architecture; the AMQP service is a more general, service-agnostic facility that can be used in various ways in such services. This includes the facilitation of Input Queues and Output Queues. AFS and CIFS might be provided for Kerberos5-authenticated uploads.